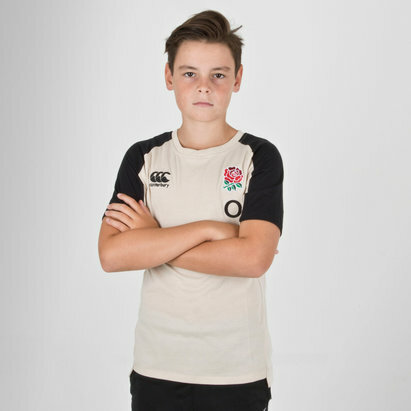 Train and look your best in this England 18/19 Youth Performance Cotton Rugby T-shirt from Canterbury. 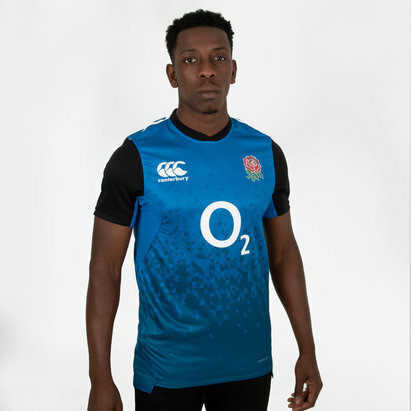 Our international rugby team England have linked up with Canterbury since 2012, a partnership that look strong. 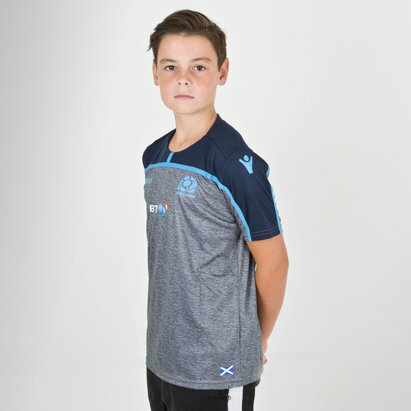 The two have collaborated to bring out a 2018/19 training attire. The soft cotton feel fabric and flattering fit offer superior comfort, while the VapoDri technology keeps you cooler and drier. 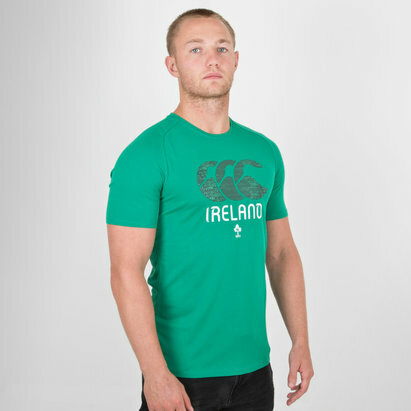 The low profile collar has been designed with the rugby physqiue in mind, giving a comfortable fit even for larger necks. Forward facing shoulder seams prevent irritation when carrying a backpack while the drop back hem eliminates garment rise during activity. Perfect for training, travel or relaxing. 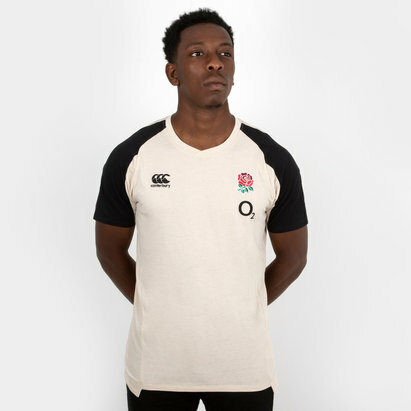 The England VapoDri Drill Tee comes on high performance fabric, for a great look without compromising functionality. This T-Shirt comes in white with black sleeves. 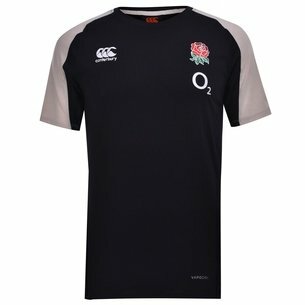 The new embroidery look CCC logo and England Rose have been embroidered onto the shirt on left and right, respectively. 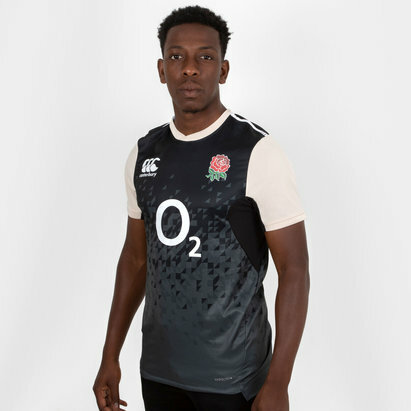 The team's partner, O2 - a collaboration since 1995, is embroidered underneath the rose. 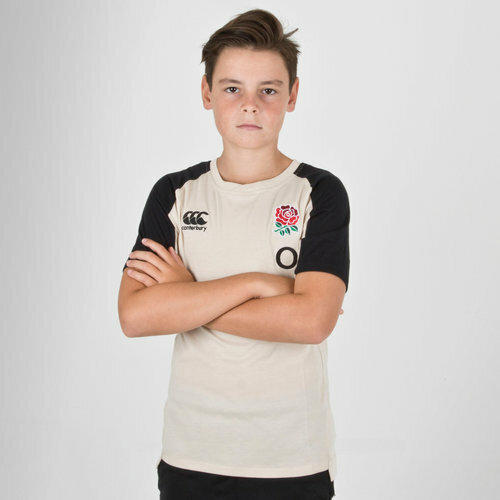 Keep it fresh in this England Youth Performance Cotton Rugby T-Shirt.